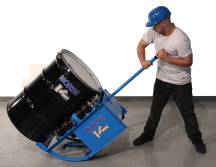 drum truck or a below-hook drum lifter. to rotate a steel drum on its side. attached to drum while rotating. 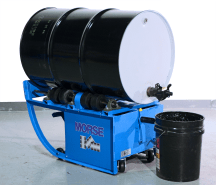 Model 201VS-1 Variable speed electric drum mixer is shown here with model 65-20 Drum Faucet. 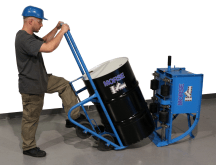 Compact industrial 55-gallon drum mixers roll a closed drum on its side to agitate the contents. 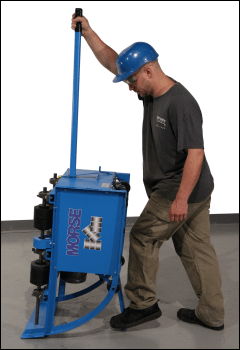 Mixing a sealed drum blends contents while eliminating worker exposure and reducing clean-up. 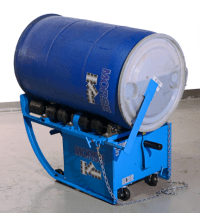 Portable 55-gallon drum mixers agitate drum contents without opening the drum! Utilize important ingredients that would otherwise be left in unmixed sediment. 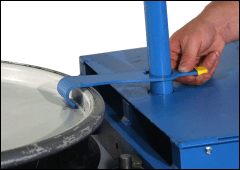 Agitate your drum's contents without even opening the drum! Incorporate important stratified or settled ingredients and eliminate sediment in the bottom of your drum. 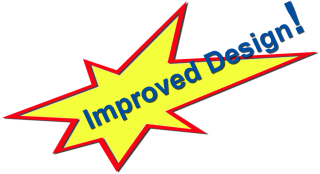 Adjust for mixing 55-gallon drums or 30-gallon drums. 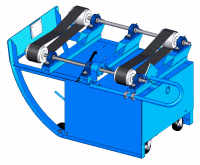 RPM is based on a 22.5" (57.2 cm) diameter drum. 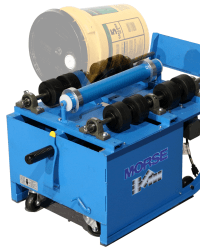 Roll a 22.5" (57 cm) diameter drum at 20 RPM (16 RPM on 50Hz models). Mix paint, oils, urethane resin, glue, dyes, flavors, etc. What will you use your drum mixer for? Up to 35" (89 cm) tall, and at least 30" (76.2 cm) tall. 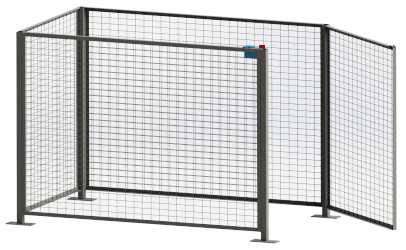 for use in food or pharmaceutical applications. 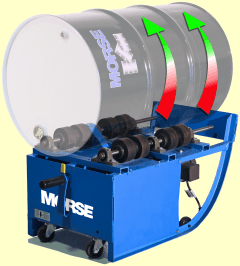 Portable Drum Rotators with standard 1/2 HP, 60Hz, 1 phase TEFC motor include switch, cord and plug. 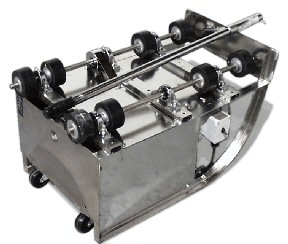 All other electric 55-gallon (210 liter) drum mixers (i.e. 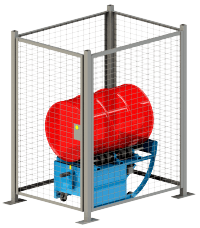 Explosion proof, air powered, 3 phase, etc.) are shipped without switch, cord and plug. These must be installed by electrician according to local codes and customer's preference.